Twenty-nine-year old economics and statistics PhD student Martina Mchenga is the winner of this year’s Overseas Development Institute (ODI) international fellowship. Excited at the opportunity, Martina, states that ODI fellowship is a great opportunity for her to use technical and research skills she has gained over the years. Winners receive a two-year employment tenure in the public sector of various low and middle-income countries across the Pacific, Asia and Africa. Mchenga made the final 50 out of the shortlisted 120. The ODI fellowship accepts applications from candidates across the world and sought after among candidates from top universities. This, accroding to Mchenga, makes the selection process competitive. Since the fellowship places postgraduate economists and statisticians at the heart of policy-making, she explains that one experiences first-hand challenges and frustrations in policy-making. Mchenga has always wanted to be in a position where her research is used to inform policy and create targeted and effective interventions. She is a health economist and a researcher with a passion in maternal health. Her award affords her the space to contribute to Malawi’s ailing health system. Women and children, she explains are among the most vulnerable populations in the world, suffering from illnesses, poverty and disparity. She observes that when health systems are inefficient, coverage of essential life-saving interventions, maternal and child health, in particular, collapse. She says these system inefficiencies and instability have contributed to high levels of maternal and child mortality in Malawi and other low and middle-income countries. In Malawi, 497 women per 100 000 live births die every year due to pregnancy-related complications, most of which are preventable with good quality maternal care, Mchenga explains. “Pregnancy and delivery is supposed to be one of the happiest moment in a woman’s life. I remember, for me, it almost cost my life due to excessive bleeding after delivery,” she says. She was fortunate to be on medical insurance and could afford expensive quality care at a private hospital. However, an average Malawian woman cannot afford such care, as most do not have medical insurance. The majority of Malawian women rely on government hospitals to access quality maternal care during the most critical time of their lives. Unfortunately, she says, they are let down by a lot of system inefficiencies. Antenatal care being one of the interventions that has been proven to reduce both maternal and neonatal deaths sparked her interest; hence, began research in the field. For the past three years, Mchenga has been working on understanding how low resourced health systems can be strengthened to provide quality antenatal care so that even the most disadvantaged woman can benefit. She says research shows that most of the adverse maternal health care outcomes in low and middle-income countries can be prevented with quality healthcare, which is accessible to all regardless of their social-economic background. Mchenga was born on August 23 1989—the first-born of four children. Her father is an economist and her mother a primary school teacher. At the beginning of her educational journey, she was an average student all through junior secondary school. Due to her mother’s encouragement, she got 12 points during in her Malawi School Certificate of Education (MSCE) examinations. She went to Chancellor College for a Bachelor of Arts degree in social sciences in 2007 and graduated in 2011 with a credit, having majored in economics. Just like any new graduate, she had high hopes of getting a job soon after college; however, she found herself at home without a permanent job for over a year. Out of desperation and not knowing what to do next, she decided to start applying for Masters. In 2012, she was offered a scholarship to study Masters of Arts in Economics at Chancellor College. The beginning of her passion for health economics and she majored in health economics and econometrics. Her inspiration to study social sciences, she says, came from her father, who informed her economics would give her a lot of opportunities. Her father used to travel a lot internationally. “I remember telling myself that I would want to go to each country where my father has been and even more,” she says. Soon after submitting her Masters thesis in April 2014, she was offered a position to work as a health economist for The Research for Equity and Community Health (Reach) Trust; a local Malawian non-governmental organisation with a focus on community health research and implementation. Mchenga thought of pursuing a PhD to deepen her knowledge in research and it was the time she became expectant, which put her plans for further studies in jeopardy. Her partner, family and friends fortunately were very supportive and encouraged her to not give up and proceed with her plans. She graduated with a Masters of Economics degree in early 2015. In September 2015, she was offered a scholarship to pursue a doctorate degree in economics at Stellenbosch University in South Africa. She has been pursuing it since January 2016 and hopes to graduate by end of the year. On whether she has made any volunteer or community contributions apart from her education successes, Mchenga says, in South Africa, she is a postgraduate high school tutor for a non-profit organisation called AccessED. As an AccessED tutor, she is involved in preparing university level tutorials for students in poor and disadvantaged schools. The goal is to inspire students from poor South African townships to attain university education. She is also a peer reviewer for one of the biomedical central journals called International Journal of Equity and Health and Economic Research Southern Africa (Ersa). 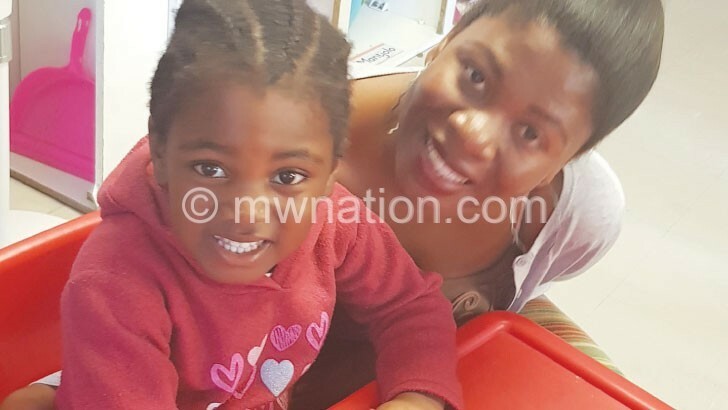 Though it appears as if she had it all figured out, Mchenga lists moving to South Africa (SA) alone, with a young child, given that her baby’s father; (whom she has not married) was studying in a different country, was her biggest challenge. “I was nervous to relocate to SA alone, with a seven-month-old baby, being a first-time mother,” she says. She, however, took up the challenge as it was a great opportunity for her to pursue her life-long educational goals. Due to technology, she has access to family and friends in real-time communication, which she says saves her sanity. To would-be economists, Mchenga advises to write down one’s vision or goals, which helps one to get clear on what they want and work towards, visualising oneself achieving that goal.